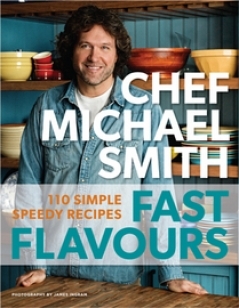 Canadian celebrity chef, Michael Smith chats with the VO about his latest cookbook called Fast Flavours. 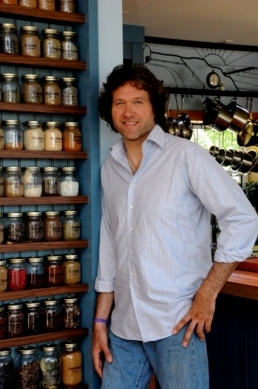 Talks about his love of beer in the kitchen, fast recipes and his cookbook factory. You may recognize Canadian chef Michael Smith from Food Network Canada's series Chef at Home, Food Country, The Inn Chef to name a few. On his shows he is often seen cooking dinners for his family in his own kitchen at home on Prince Edward Island. Chef Michael has also come out with several cook books to date and his latest one called Fast Flavours just hit shelves last month. Chef Michael recently chatted with the VO about his new cookbook, his philosophy in the kitchen, top ingredients and more. Check out the Q and A below. Q: Could you start out by telling the readers briefly what this cookbook is about? A: Fast Flavours is my sixth cookbook. It takes all of the little tricks of the trade that chefs learn and puts it a book for home cooks. It’s also about nutrition and explains that that fast isn’t necessarily a bad word when it comes to food. There are actually a lof of health benefits to cooking quickly. It’s about helping folks understand how to cook fast and healthy in their home kitchen. Q: How did you come up with the idea for the cookbook with the concept of with the idea for ‘fast cooking’? A: It comes from my obvious approach to food. Cooking doesn’t have to be stressful, it’s not about this quest for perfection. It’s fun and I think by myself serving as an example for fun it helps others in their approach to cooking. Q: What was your philosophy when developing recipes for this cookbook? A: It hasn’t changed for this cookbook, it’s long established. Recipes are a great tool to help inspire confidence in this kitchen. I’m the guy that writes cookbooks and then cooks without recipes. Having said that, I really do believe that every recipe in the book is a little cooking lesson that we worked hard to tell . The cookbook explains the entire cooking experience, what you are going to see hear, smell and taste, its all from a very simple place. Q: Where did these recipes come from? A: First and foremost they come from the fact that I cook dinner practically every night for my family. I cook constantly and I have a very clear style and and personality when it comes to food. For this cookbook we tested and developed the recipes on a test kitchen that’s on my property at home, we call it the cook book factory (laughs). Ive learned that it’s better to have a home cook try the recipes rather than a professionally trained chef. 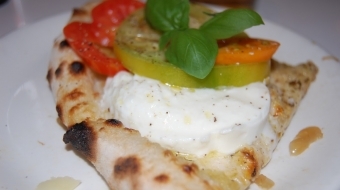 We go through a year long process and test and experiment with these recipes constantly. We worked with 150 recipes and whittled it down to 110 recipes for the book. Q: What is your go-to recipe in this cookbook for family dinners? 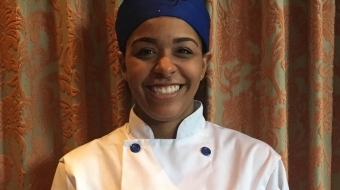 Q: What is the best piece of advice you could give to home cooks? A: Relax, take it easy, it’s not that big of a deal! Just let that whole idea of perfection fade away. Don’t buy into that notion that some of us feel in the kitchen, that cooking with something unfamiliar is difficult. A lot of us develop food traditions and we just need to put it into perspective and relax. Q: Your cookbook is all about fast recipes that are great for families. So this questions comes from my family, my Dad actually, who is a big fan of your show and cooking style. He wants to know what are the top ten ingredients you keep on hand at all times in your kitchen? A: Okay, onions, garlic, canned tomatoes, canned chick peas, nutmeg, salt, pepper, fennel – I love my fennel! Also, bacon, butter and beer, I love having a beer while I cook!